MANQUILTER.COM | Learn to Longarm Quilt in the shortest time possible! Floating your quilt top. It’s all about control! APQS Sit Down Longarm Quilting All Beefed Up! The APQS Road Show crew is traveling across the country, bringing our longarm quilting machines to you! This is your chance to get your hands on one of our longarm quilting machines to discover the model that is right for you. Designed for quilters who do not currently own a longarm machine or current owners who are looking to upgrade, the seminar includes valuable information about owning your first longarm. 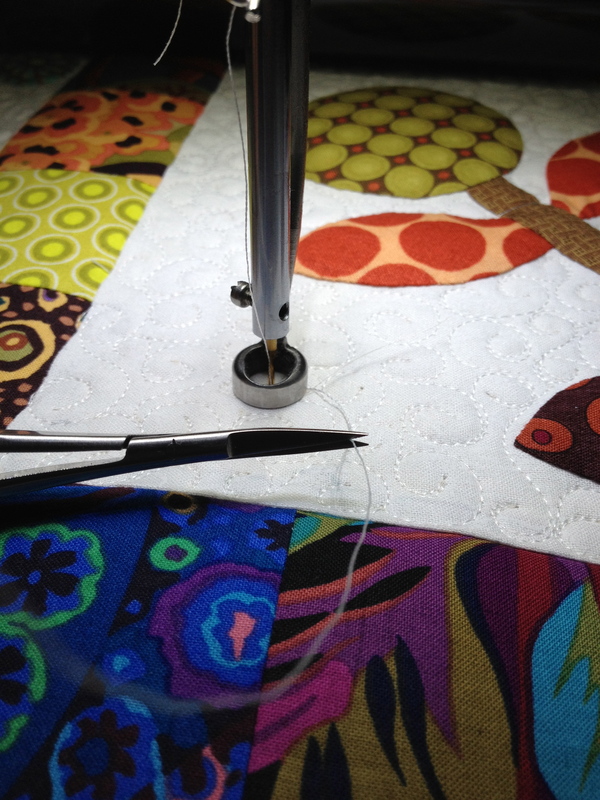 Learn how to oil, clean and service your machine to provide years of quilting fun! Oh my!!!! This is the very first demo sale on our NEW GENERATION Millie and Freedom! 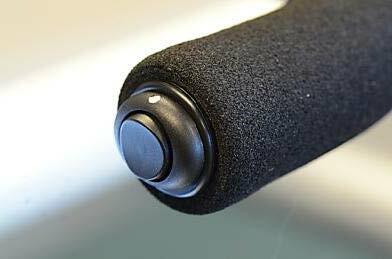 Top thread break sensor, low bobbin alert, pre-set stitch length, simple fingertip controls, lifetime warranty! We chose the smaller of the APQS longarm models as a way to reduce cost and still give our renters the best possible stitch quality available on the market. The most important part in our decision to buy a Lenni(20″ throat) was of course the ‘EASE OF USE’. We needed our renters to feel comfortable and confident the very first time they touched our machines. Although Lenni did everything we wanted it too, we felt there were a couple key features missing for the novice quilter. We were happy to hear that APQS re-designed their flagship Millennium and Freedom models to include every single feature we wanted in a Longarm. It didn’t take long to sell our renter Lenni and upgrade to a brand-new fully loaded Millennium. Here is a look at the set up of our new machine. As an APQS Dealer in Canada, I am always excited to tell you about new innovations to APQS machines. I am especially excited when the newest machine arrives in my studio to play with. As I mentioned this weekend, the new generation of APQS machines are now shipping and it took me all of 3 minutes to place my order. The good news for you guys… We are replacing our rental Lenni with a fully loaded Next Generation Millennium. For those of you that have been waiting for years and years to finally take the plunge and buy the last longarm you will ever need, the time has come. 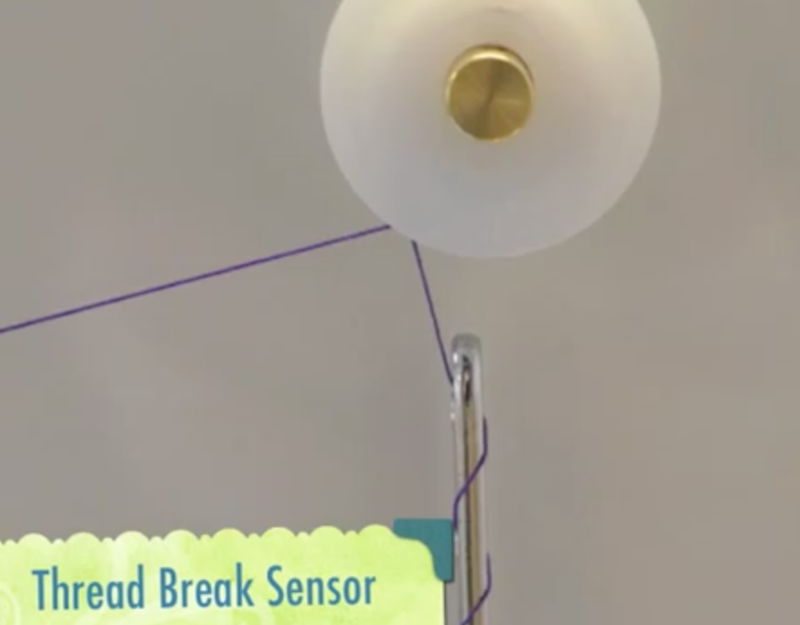 Have a closer look by watching the video. Quilt Path. 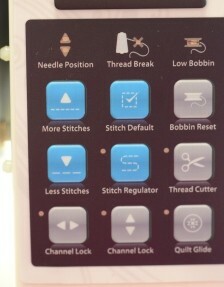 The excitement of Automated Quilting. The Simplicity of APQS. As many of you know, APQS is the machine to use when simplicity really counts. Now they’ve gone and added a feature rich computer tablet that guides your machine hands-free across your quilt. The touch screen screams Ease of Use while the belt drive offers super precise stitches. You are gonna love what Quilt Path can do for you. To top it off, APQS is releasing 15 free tutorials you can watch before you even buy Quilt Path. I’ve been watching these videos roll out and am thoroughly impressed how easily they are guiding me from totally intimidated to a Quilt Path Yogi. How does a proficient freehand quilter get any joy out of running a computer over a quilt? Well, let me tell you. As a freehand quilter, I have a very recognizable style. Even after taking a class with a master quilter, I never quite stitch like they instructed me, my own style manipulates the design into something unique. It is influenced by my own process. My good friend and mentor Claudia Pfeil calls this ‘Your Personal Hand-Writing’. We are over the moon with excitement about the Teacher that will be honouring us this June with her passion for quilting. Since 1994, Dawn Cavanaugh’s custom freehand quilting has been winning awards for clients of her business, Rockin’ Bobbin Quilting, Inc. Her work has appeared in publications such as Century of Quilts, Quilter’s Newsletter Magazine, American Patchwork & Quilting, Leisure Arts, House of White Birches, and Fons and Porter’s Love of Quilting publications and TV shows. Dawn also designs patterns, most recently contributing to 505 Quilt Blocks by Meredith Publishing. She has taught at Machine Quilter’s Showcase for ten years, plus Longarm University, MQ Innovations, Quilting the Quilt, Quilting on the Waterfront, Canadian Machine Quilters’ Expo, the Australian Machine Quilters Showcase, and several regional guilds. Judging machine-quilted projects in quilt shows has also kept her busy. In addition, Dawn is the National Director of Education for APQS, Carroll, Iowa. 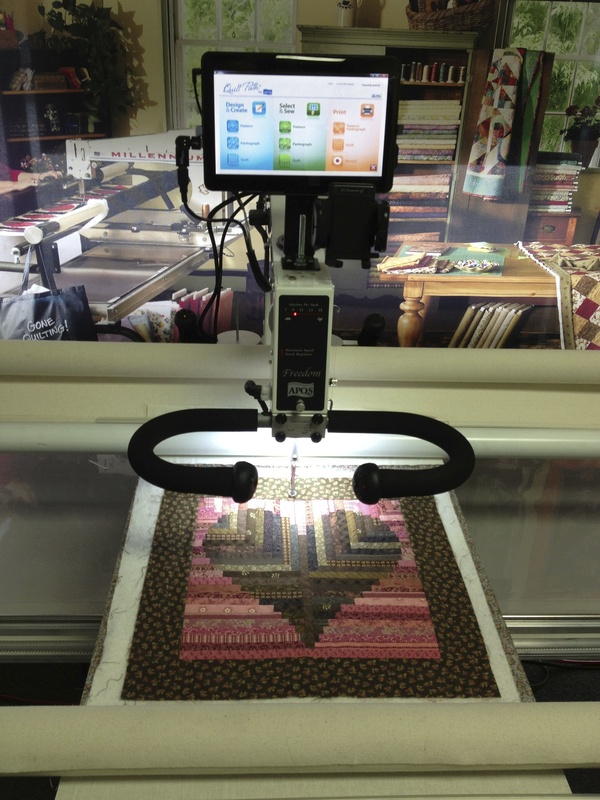 Quilt your masterpiece with ease and professional accuracy using Quilt Path for APQS machines. 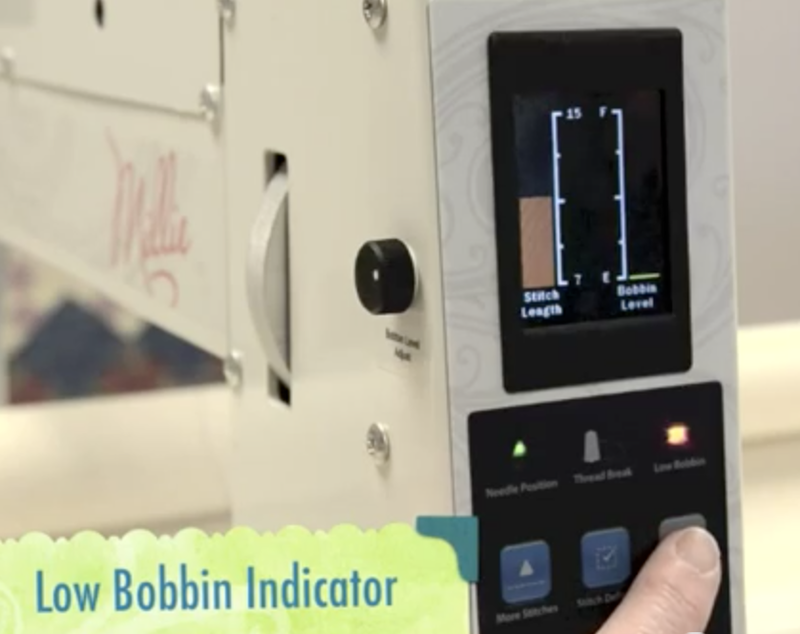 Enjoy the benefits of an automated quilting system. Quilt Path’s easy to use touch pad makes it simple for you to design and layout your project and let Quilt Path quilt it! Although I am a freehand quilter and love it ever so much, I have installed my Quilt Path (APQS’s Computerized Quilting Tablet) on my machine and am having tons of fun getting perfect designs with very little effort. Believe me, if I can figure this one out, you’ll have no problem. The most amazing part was the install. It only took me 20 minutes to install this puppy and get it up and running. Quilt Path can be effortlessly installed on any APQS machine except George. I am filming several Quilt Path videos to show you just how easy it is to run. Here are the two quilt path videos I recorded last week showing just how easy it is to install. Come by and experience Quilt Path first hand. Say this 10 times really fast… My first computerized machine quilting edge to edge all over Stitch out with my new APQS Quilt Path Stitched with Aurifil’s variegated polyester thread. Quilt Path is now shipping. New orders ship in 8-10 weeks. Call Matt or Bradie today to put your name in queue 780-463-4242 for your very own Quilt Path. Who is ‘The Scissor Guy’ of the Quilting World? Is it just me or is there a new breed of quilter emerging? Seems to me that more and more of the clients walking in to Sparrow Studioz to rent our longarms are new quilters. Just a short year ago, we spent most of our time convincing veteran quilters that finishing their quilts on a longarm was not only acceptable but fast and effective too. As I sent an email out to our list this morning, I realized that many of our clients are eager new quilters. They don’t need to be convinced that saving time is a good thing. That seems to be the first lesson they learn when taking our beginner longarm class. I thought I should share that email with all my blog readers in case you were wondering what I’ve been up to when I’m not quilting. No, I’m not talking about the fact that I bought my daughter a puppy & Bradie is going to kill me! Here’s the scoop. In our last newsletter I announced that our pre-paid (silver & gold) packages come with a (brand new) FREE class. mistake of limiting it to two classes and have been turning people away left right and center. We have been overwhelmed with sign-ups and although we had originally only scheduled two classes, we are extending this sale and booking several more Freestyle Quilting Classes to accommodate everyone that is interested. This is the perfect class to learn how to disguise troubled piecing. As many of you know, no quilt is perfect and there are NO quilt police at Sparrow Studioz. We honor the time and love you put into every quilt. We are here to help you effortlessly finish your quilts, without judgement. Did you know that many of our renters finish 3-4 small quilts in a single session. No kidding! FreeStyle Quilting – 3 hours $150 Experience the front of the machine like never before. Let me show you how to choose fast, simple designs that add texture and character to those quilts that require a quick little something to get them on and off the frame in no time at all. Learn how to get in and out of corners without hesitation. Move from one side of the quilt to the other in no time flat! Let me show you the difference between pantograph and freestyle quilting. You will love the amount of control you gain by looking down at your quilt instead of at the pantograph. Bronze $250 – Save 10% (Hourly rate is $18) 14 hours of quilting time. Silver $500 – Save 20% (Hourly rate is $16) 31.25 hours of quilting time. Gold $1000 – Save 30% (Hourly rate is $14) 71.5 hours of quilting time. SPECIAL ANNOUNCEMENT – You can share the Gold Package with a friend! Bradie just ordered TWELVE bolts of Hobbs 80/20 Heirloom batting. I said TWO bolts not TWELVE I yelled! To be quite honest, I would prefer to sell you guys batting at $22/M. Bradie on the other hand actually likes saving you guys money. She is pre-selling the first ten bolts for $299/ea. That works out to less than $10/yrd. Call her soon to reserve your bolt. Claudia Pfeil’s Quilts now on display as her August classes quickly approach. Have you signed up yet? Not sure how to quilt your top? The design possibilities are endless. Bring your quilt tops and notebooks to class and let Claudia dissect your quilt block by block giving you tons of ideas and inspiration. You may never look at quilts the same again. Did I tell you about the sale that APQS just announced on their top of the line Millennium & Freedom Quilting Machines? $3400 Cash Discount on new Millennium & Freedom models which include Motorized Feed and QuiltGlide. APQS Dealer, Matt Sparrow from Sparrow Studioz in Edmonton is bringing his show floor to Calgary & area quilters. Join him in Booth 105-106 where you can test-drive an APQS Millennium, LENNI & George in the vendor’s mall, talk machine maintenance or read all about the great longarm classes they offer at Sparrow Studioz for beginners thru to advanced owners of all brands of mid-arm & longarm quilting machines. 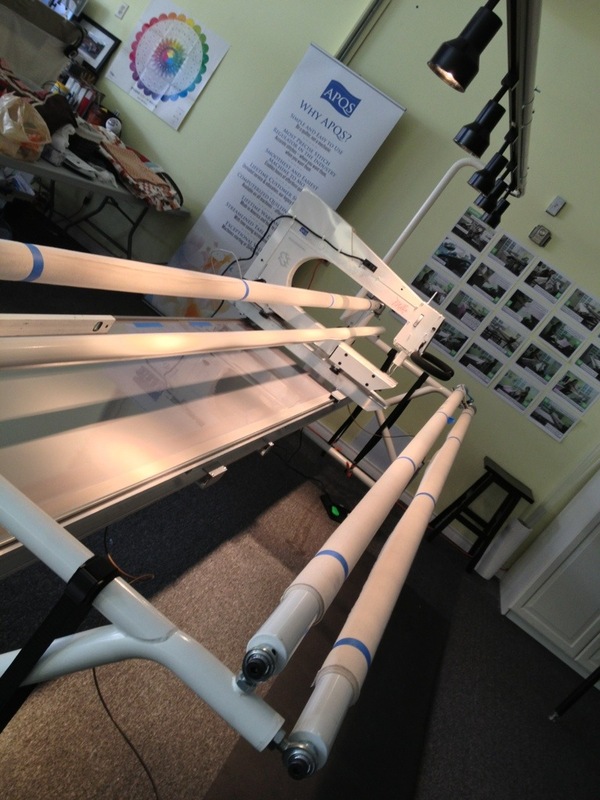 Want to know what to pay attention to when shopping for a longarm? Come by Matt’s booth and grab a comparison chart. Wondering how things might turn out if you own a longarm? There is only one way to find out and it all starts with a test-drive. Floating your quilt top. It's all about control! Learn to Longarm Quilt in the shortest time possible!